PropertyExam now offers on site electronic radon testing services. This gives you the option of having Radon testing completed at the same time as your home inspection, putting the results in your inspection report and having all your answers on the same report. While some methods for radon testing require several days of testing, our electronic radon testing service only takes minutes. As a stand alone service, offered separate from home inspection, radon testing can protect your family from a potential cancer causing pollutant. 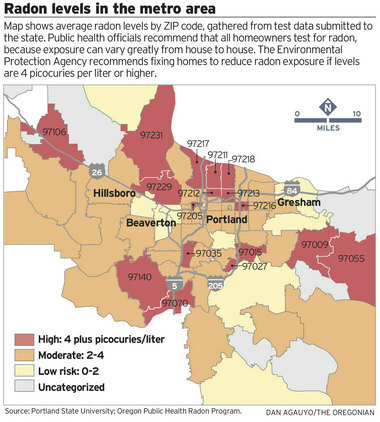 Regional updates performed in 2013 by the EPA (U.S. Environmental Protection Agency) show high levels of potential radon gasses throughout the Portland, Oregon metro area. The EPA recommends testing for radon, and if the radon level is 4 picocuries per liter, or pCi/L, or higher to fix the issue by installing radon vents as soon as possible. Radon levels less than 4 pCi/L still pose a risk, and in many cases should be reduced. Testing for radon is easy and inexpensive compared to the potential costs and hardships associated with the deadly diseases caused by radon gas. Radon is estimated to cause thousands of lung cancer deaths in the U.S. each year and with such high numbers found throughout Portland its imperative that you have your home tested for radon sooner than later. Testing for radon is the only way to be sure that your home is within the safe range. We recommend having your home or business tested for radon in order to protect the health of your family and staff. When the cost is low and the benefit is high, the decision becomes very easy to make. Contact PropertyExam today to schedule radon testing services in and around Portland, Oregon. Radon is not visible to the naked eye and cannot be detected by smell or taste. It is estimated to have caused many thousands of deaths every year. 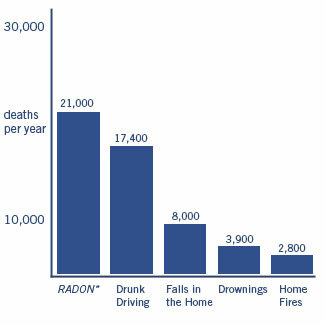 It is very hard to give accurate numbers because when you breath in air containing radon, you can get lung cancer. Other conditions in an individuals life such as smoking or other pollutants that may be associated with work or where they live may be incorrectly attributed as the cause of the diagnosis. Although these numbers are hard to calculate the EPA and Surgeon Generals office have created some very accurate numbers warning that radon is likely the second leading cause of lung cancer in the United States as of 2013. Tobacco smoking is the only thing that causes more lung cancer deaths than radon. If you have high levels of radon in your home you are at risk. If you also smoke, the risk is extremely high. Radon can be found all over the United States. No city, neighborhood or natural park is completely void of radon since it is the natural, yet radioactive, byproduct produced by the breakdown of uranium in soil, rock and water. Radon is capable of infiltrating every type of building including offices, schools, factories, restaurants and of course your home. The EPA warns that most of the radon exposure individuals face is at home, where most of your time is spent. Testing is the only way to know if you and your family are at risk from radon. The EPA and the Surgeon General recommend testing all homes and schools for radon as this is where most of our time is spent. Many business owners test their offices and facilities for radon in order to ensure the long term health of their valued employees. Testing is easy and very inexpensive. It only takes us a few minutes and we will have the results to you as soon as possible so you can make any decisions regarding mitigation. 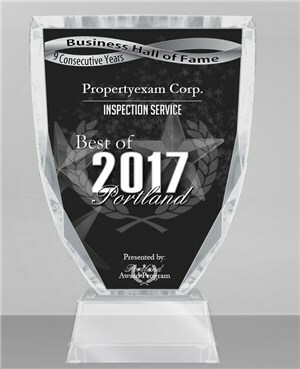 PropertyExam has relationships with companies that provide ventalation and radon mitigation systems in Portland. If you are in need of a referral to one of these companies we would gladly help. Cancer causing radon gas typically enters the home by moving up through the ground to the air and into your home through cracks and other holes in the foundation. Rather than dissipating into the atmosphere as it would outside, in the home it gets trapped and builds up over time. 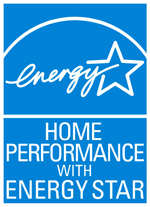 Any home can have an issue with radon gas. It doesn’t matter if the home is old or new, well insulated or drafty, with or without a basement. Even boat houses are susceptible to radon gas problems. Radon gas can also enter the home through well water, traditional water pipes that may have become broken or cracked, as well as being tracked in from the outdoors by residents of the home. Some homes even use building materials that emit radon. Although this occurs is far less often, it’s still a real possibility. The EPA estimates that 1 out of every 15 homes in the United States has elevated radon levels. In the Portland, Oregon area there are a number of at risk areas as seen on the map to the right. High risk zip codes include 97231, 97106, 97229, 97217, 97211, 97218, 97212, 97213, 97216, 97015, 97140, 97070, 97009, and 97055. There are several other moderate risk areas throughout the Portland, Oregon metro area as well. Radon testing is becoming more of a standard in the real estate sales process. Most home buyers want to know if the home is safe to live in and radon testing companies like PropertyExam are capable of answering that question for them. If you are looking to buy a home do not hesitate to have the property tested for radon. Even if you have already had the home inspected, its imperative to your families health that you have the home tested for radon gas. 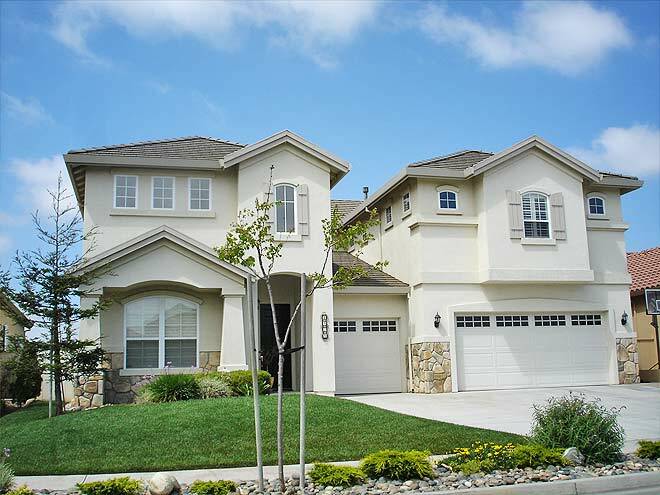 We also provide seller property inspection services to allow for the owner of the home to present an additional benefit to potential buyers. A home that has already been tested and has safe numbers is even more appealing to a potential buyer than one that has not yet been tested.